About a year ago, God began to grant me a different point of view regarding what happened in the Garden of Eden when Adam and Eve disobeyed God and ate of the fruit. I’ve wanted to write about this for quite some time. The way I had been previously taught led me to interpret the above historical account as meaning that evil and bad things entered into this world because Adam and Eve disobeyed God and ate of the tree of knowledge of good and evil. If they had only controlled themselves, resisted the serpent’s enticement, and not eaten from the tree, then things would not have all fallen apart, and we would all still be living in a perfect world without any evil taking place. I was led to believe that man had thrown a wrench in God’s perfect plan, messed it all up, and was totally at fault for the bad things that happen and the world being like it is today. I no longer have that view in mind or believe those things. --God placed a tree of knowledge of good and evil in the garden. --He told the man not to eat from the tree because, if he did, he would surely be dying. --The man and the woman were naked and knew no shame. --The serpent (whom God created) became more crafty than any other animal of the field that God had made. --The serpent approached the woman and spoke deceitfully, with every intent to trick her into doing something wrong and disobeying God. 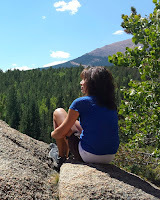 PAUSE right there: Before the woman has ever considered reaching out and taking one bite out of that fruit, we are shown by the serpent’s spoken words that the it has approached the woman with the intent of enticing her to disobey God’s instructions. I would call this an evil intent as the serpent wants bad things to happen to the woman and the man. This reveals to me that evil is already present on the earth and in the garden. Things are very good, but they are not without the presence of evil. --The serpent told the woman truth and lies. It lied by saying that God did not really mean she would be dying if she ate from the tree. And it told her truth by saying that when she ate from the tree she would be like Elohim and her eyes would be opened to knowing good and evil. “…The Adversary…was a mankiller from the beginning, and does not stand in the truth, for truth is not in him. Whenever he may be speaking a lie, he is speaking of his own, for he is a liar, and the father of it…for from the beginning is the Adversary sinning…” (John 8:44, 1 John 3:8) The Adversary was a murderer, a sinner, and a liar (the Father of Lies) from the beginning. --The woman and the man were convinced to eat of the fruit, and their eyes became opened to knowing good and evil. Hence, they felt shame at their nakedness and were impressed to cover up and hide from God. Suddenly, they knew disobedience and that they had partaken of it. --They were also filled with fear. The man foolishly tried to hide himself and the woman from Elohim. 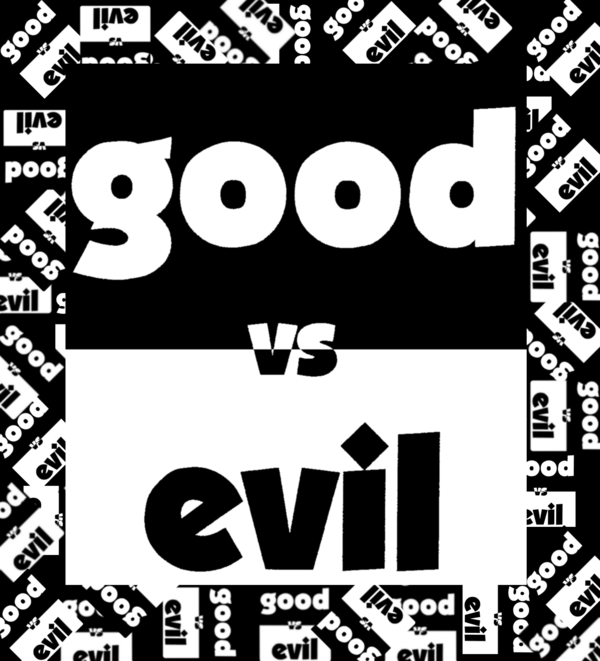 Having an understanding of the difference between good and evil also brings with it the knowledge of shame and fear. After their eyes were opened, the man and the woman realized that being deceived by the serpent was an act of evil and they became trap to it. I like God’s question to Adam, “Who told you that you are naked unless you have eaten from the only tree that I instructed you by no means to eat from it?” Adam and Eve were naked, but they didn’t know what naked was until their eyes were opened. I find it quite interesting that physical nakedness was something they were ashamed of. Since God had created them, they had had no experience in the world to teach them that being naked was something to be ashamed of. But from their actions, we can gather that the knowledge grasped from the tree must have been quite expansive. --Experiencing shame and fear led Adam and Eve to point the fault of their actions to someone else. Immediately, Adam blamed the woman, and the woman blamed the serpent. There began the blame game that all of humanity is so good at playing. We blame others and point fingers at their sin (their failures) in an attempt to run away from facing the truth of our own. --Adam and Eve are sent out of the garden back to the place where God originally formed them. He sent the man back there to serve the ground from where he was originally taken and formed. I think this is the first time that I have really paid attention to that. God initially formed Adam at a different location and subsequently transported him to the special Garden of Eden. After the disobedience occurred, God immediately transported him right back to the soil he had been made from, “east of the garden of Eden”. The tree was the source of the knowledge of good and evil—it was not the tree of “doing good and evil”; it was not a source of good or evil or sin. God created a tree of knowledge. It contained the knowledge of two opposites in one fruit. He did not create one separate tree with the knowledge of good and another separate tree with the knowledge of evil. He had them combined in one fruit because He is the Perfect Creator, and He knew that we could not know one thing without the other. Their knowledge must come together. God created good and evil; He is their source. As we clearly see by the serpent’s actions, evil along with good existed on the earth before Eve ate of the fruit. Adam and Eve were just unaware of them. As Adam and Eve naively walked through the Garden of Eden, good and evil were already present with them. However, they were completely unaware to their presence and to the difference between them. I can’t even imagine what that possibly felt like—feeling completely neutral about everything. How could they know what good was without also being aware of bad? Can one truly know one without the other? I don’t see how that is possible. Can one appreciate the miracle of birth without also knowing death? Can one appreciate the sunlight unless the storm also has its moment? Can one know love without also knowing hate? Can one appreciate what they have unless they also don’t have it? It is too easy for us to take things for granted when we don’t know the other side. Adam and Eve lived with God’s presence with them, walked about a beautiful garden, and had each other’s company. But how could they fully appreciate what that meant before knowing good and evil and before it was all taken away from them? How could they know the goodness of God without also knowing the contrast of evil? They could not. One cannot know good without also knowing bad, just as the beautiful stars in the sky cannot show us their brilliant beauty except by having darkness as their background. I can’t help but wonder if Adam and Eve even really understood what God had meant when he said that they would begin dying the moment they ate from the tree. How could they? I was thinking about the example of a small child who only comprehends and sees such a small portion of the world around them. They know the limited surroundings of home, their family and friends, and that Mom and Dad will meet all their needs and take care of them as necessary. They have no idea of the span of good and evil that exists outside their front door and the realities of life. What they know is a very tiny fraction of the knowledge that is to come later on as they get older and have more experiences. This is how I see Adam and Eve; childlike and with about as much understanding of the world around them as a small child. If Adam and Even did not know the difference between good and evil, could they even understand death? What dying would really mean? How could they know what death really meant without having observed it? And how could they have understood that the serpent was being deceitful with them and had the intent to bring them harm not having any knowledge of what evil was? I also thought about a small child receiving warning instructions from his parents, “Don’t touch the hot stove, or you will burn yourself and it will hurt.” We can tell the child about the hot stove and what it may do to them, but they cannot fully comprehend the consequences if they have never experienced the pain of being burned. But even that small child, in today’s world, may have a bit of understanding what bad is or what it means to be hurt. By the time they can reach a hot stove they will have walked and possibly fallen and experienced hurt. So they have already learned some of the meaning of hurt. And then there are the cookies in the cookie jar? What is bound to happen when a parent says to their child, “Don’t eat the cookies in the cookie jar”? As a parent knows too well, it’s only a matter of time before a child will dig their hands into that cookie jar and take a cookie. God knew that it was only a matter of time before His Adam and Eve would take from the tree which He planted squarely in the middle of the garden. Humanity today is not that different from Adam and Eve, even though it would like to try to convince itself otherwise. We have an innate curiosity to discover something and along with that we also have desire for greater insight, just like it was told of Eve in Genesis 3. We even take pleasure in pointing the finger of fault at Adam and Eve and blame them for everything that has gone wrong in the world because we don’t want to take responsibility for the sin, the failing of the mark, that is within every one of us. None of us would have acted differently in the same situation. So the question remains, “Did Adam and Eve’s disobedience cause the evil that is in this world?” I now believe the answer to clearly be “No”. It certainly brought to mankind the knowledge of good and evil, tagging along with it the consequences of that knowledge and the consequences of being disobedient. It brought death to mankind. Because of the disobedience, my physical body is decaying and hurting more as the years go by until the day when it quits working altogether and dies. Even though Adam and Eve’s actions have brought us death, we can rejoice that CHRIST brings us life!! Hallelujah for that! In Christ, all shall be brought to life! We are told by Paul that through one man sin entered into the world. This is sin, not evil. The word translated “sin” is the Greek word “hamartia”. It is literally defined as a failing to hit the mark or a missing of the mark; it is an error or a mistake. Sin is a failure. When Adam and Eve took the fruit and ate of it, they made an error and sinned. They failed to perfectly obey God’s instructions. They did not do so with an evil intent, they just acted imperfectly. They fell short of acting perfectly as God is perfect because they were incapable of perfect obedience. The words translated “evil” in the Bible are the Hebrew word “rah” (Old Testament) and the Greek word “ponaros” (New Testament). “Rah” is defined as “distress, injury, bad, diseased, and hurtful. “Ponaros” is defined as “full of labors, annoyances, hardships, harassments, and bad. Evil and sin are two different things. We are capable of doing evil acts only because we are sinful (imperfect) beings. And we sin (act imperfectly) when we commit morally evil acts. Paul says in Romans 7:8, “For apart from law sin is dead.” Apart from a set standard or mark, there is no such thing as failing to meet that standard. If I am throwing darts without a dartboard and bull’s-eye before me, I can throw darts to my heart’s content and never miss a thing—never make an error. I only miss if I am striving to hit a mark. God, Himself, is THE standard of pure and incorruptible perfection. He also gave a specific instruction to Adam in the Garden of Eden, “Do not eat of the tree of the knowledge of good and evil.” When Adam and Even ate of the tree, they acted sinfully. They missed hitting the mark that had been set for them. Was this a surprise to God? Absolutely not. If that act had been a surprise to God, then He would not be sovereign and all knowing as He claims to be—He would be imperfect. The ability to miss the mark and the capacity to make an error was already within Adam and Eve before they ever took and ate of the tree. That is why they did it. If the capacity to make an error had not been there to begin with, they could not have done any wrong. An exterior force of evil enticed them and fueled the capacity. The serpent also acted sinfully and committed evil in tempting and enticing Eve to disobey God because it wanted to bring her harm. God created the good and the bad. Neither was capable of creating itself. If God had not created the Adversary to be an adversary, he would not be capable of acting as such. If God had not created mankind with the ability to sin, to fail, then he would not have been capable of sinning. If God had originally created the Adversary and mankind to be incorruptible only for them to end up corrupted then there would have been something wrong with God’s handiwork. And if the serpent’s evil behavior and Adam and Eve’s error messed up God’s originally perfect plans, God would have been responsible for a mistake in His creation. If the serpent or the Eve’s actions made God to say “Oops!” and caused Him to revert to a “Plan B” then God would have been responsible for a mistake in His plans. That would mean that God would have committed a sin. Oh, let us not be so foolish to propose such a thing due to our finite understandings! Instead, if we can be given the sight to see that God’s perfect creation was created as a corruptible one to display His perfect, boundless, and unconditional love and His graceful glories, we will see that it is perfect still because it is just as He planned it to be. It is all as He intended for it to be; He has made no mistakes. If God could bring forth a truly perfect Son—Jesus Christ, the spotless lamb without blemish—He could have also created man to be spotless and without blemish. Jesus Christ knew no sin—he knew no failure and was truly perfect. He faced the temptations of the Adversary and made no mistake. The perfect Son of God became the sin offering for all of mankind even though He was incapable of sinning Himself. He alone was meant to be perfect and to reveal the full glory of God on earth, man was not. In Christ “…the entire complement of the Deity is dwelling bodily…” (Colossians 2:9) As far as mankind is concerned, though, “…all sinned and are wanting of the glory of God.” (Romans 3:23) God could have created Adam and Eve with incorruptible perfection, but He did not. God created man corruptible until such a time when the corruptible will put on incorruption. Man was created in an image and likeness of God, but that doesn’t mean he was exactly like God. Far from it! Man did not even know the difference between good and evil. From creation, mankind fell short of the glory of God. Good and evil were present in the world before Adam and Eve disobeyed God’s instruction. The serpent acted with an evil intent and enticed Eve to disobey God and eat of the tree. The serpent sinned and committed evil. Adam and Eve sinned when they took the fruit and then knew good and evil. Evil was a fuel to their innate characteristic to make a mistake and disobey. This was how Adam and Eve were created by God; capable of failing, of sinning. Hence, they received the powerful knowledge of good and evil that also became a blessing and a curse. Their act brought not only a knowledge of goodness, beauty, happiness, and great joys but also a knowledge of pain, difficulty, decay and death to them and to the rest of us. It is desperately frustrating and miserable for me to hear and watch my children bicker, argue, and be ugly with each other. Especially when nothing I say to try to get them to stop causes them to realize the error of their ways. Instead, they continue on and on, the ugly situation escalating, and they point fingers at each other (and me) for whatever is going wrong. Looking at their own sinfulness, their own failing, is unthinkable to them. I weep for the loss of their innocence and their early childhood sweetness. A few days ago, I asked God if He weeps for our lost innocence and sweetness like I do for my children’s. His answer to me was this simple statement, “I make all things new.” Yes, He certainly does. I trust, find comfort, and hope in the One who says that He makes all things new. Out of Him and through Him and for Him is all: to Him be the glory!! !